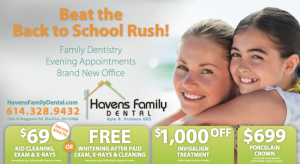 As millions of parents prepare their children to head back to school, you should be preparing your office and dental practice marketing. New school clothes, supplies, immunizations, and health checkups are all necessities in the minds of parents. Help make sure your practice finds its way onto the list. Here are some ways to “up your grade” in the eyes of parents as ​​​​​​​back-to-school season begins. As you prepare to work on children and families prior to the first day of school, be sure you and your staff proactively know what the anticipated day is. Many schools and school districts begin in August, others begin in September. Be sure you and your staff know the local and exact start date for your patients’ school districts. This will provide you with multiple benefits, such as building your community reputation, facilitating scheduling, staffing, and office efficiency. Having your office schedule noted with community dates—especially school dates—will benefit you prior to, during, and after patients walk through your doors. Your marketing will feel personalized, local, and individual. You will build community relationships with patients in the chair, as you ask simple questions about the upcoming school year. Allowing community dates to influence your business will help you become part of the community in a natural and convenient way. In working to meet your patients’ needs, use back-to-school offerings and direct mailing promotions to help them get to your office. 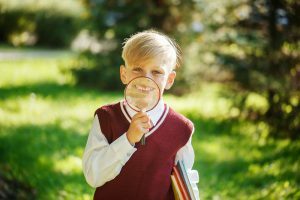 Specific direct mail campaigns can be directly targeted to demographics that have school-aged children in your area. The American Dental Association reports that 19% of children ages 2 to 19 years old have untreated tooth decay. As a dentist, you know better than anyone that this is year round—not just a few days before school starts. Possibly stagger marketing campaigns throughout the remaining weeks of summer to give your patients plenty of time get to your office. Specific and targeted promotions will play well with the excitement and hustle and bustle of back-to-school season. 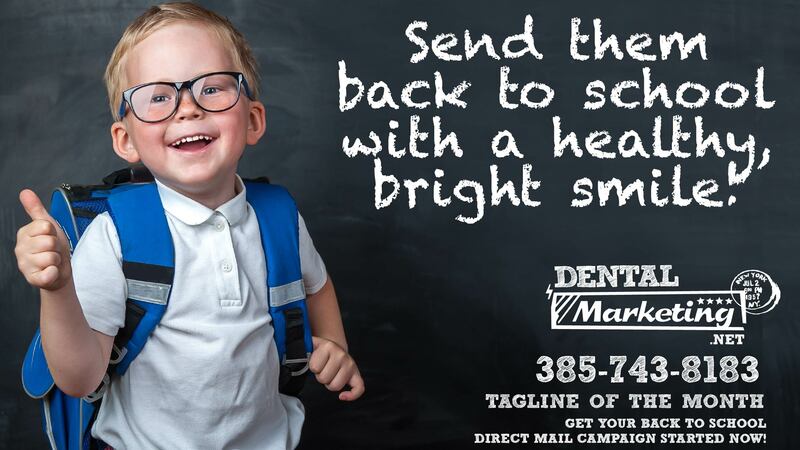 Take a look at a wide variety of options for back-to-school postcard designs by visiting our dental postcard gallery. Now that you have your calendar and promotional offerings all figured out, don’t forget your staff. Prepare your staff with promotional knowledge and correct scheduling. As you actively market for an increase of child patients, prepare your staff to handle the spike in visits. Equip them with age-appropriate tools and resources. Empowering your staff will translate to customer experience and overall satisfaction. As families prepare for back to school, so should you. As dentists, you play an intricate and important part of the season. Remember to control your variables, especially your dental practice marketing variables. 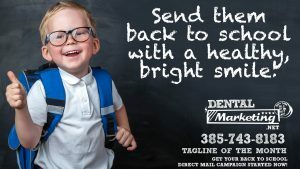 For any help, and all your direct mailing needs, contact the dental marketing consultants at DentalMarketing.net today!